It looks like Nazem Kadri could be back when the Toronto Maple Leafs take on the Edmonton Oilers Saturday. 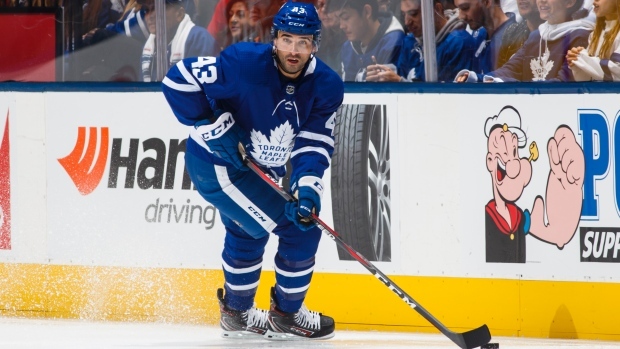 Kadri was back between Patrick Marleau and William Nylander Friday at practice according to TSN's Mark Masters. He was also on the team's top power-play unit. He had been practising with the team this week but was used as an extra. The 28-year-old native of London, Ont., has missed seven games after a hit from St. Louis Blues defenceman Vince Dunn left him with a concussion on Feb. 20. Toronto lost the game 3-2 in overtime. In 59 games so far this season, Kadri has 15 goals and 20 assists. Following their matchup with Edmonton, the Leafs will be back in action Monday at home against the Tampa Bay Lightning.